Home Andalucia Happy Andalucia Day! CITIES and pueblos across the region will today be celebrating Andalucia Day. 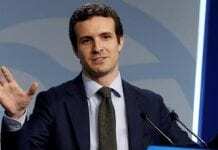 The annual holiday marks the anniversary of the 1980 referendum on the Statute of Autonomy of Andalucia, in which Andalucians voted to become an autonomous community of Spain. 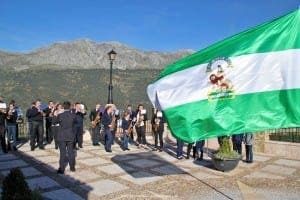 The green and white flag of Andalucia will appear in many towns and villages, along with cultural competitions and live performances. Schoolchildren celebrate the Friday before with a special Andalucian breakfast, classes about local history and of course a party. The main ceremony takes place just outside Sevilla at the monument, at the monument to Andalucian writer and activist Blas Infante. The Olive Press would like to wish our readers across this stunning region a very happy Andalucia Day, whatever you choose to do!